Brits love spending time in the garden. However, an influx of pests, such as rodents and birds, can completely ruin the experience. A decked area is a popular and attractive feature in a garden, but it also has the potential to entice pests looking for shelter and warmth — particularly during the colder parts of the year. So, how do you safeguard your garden and make sure it doesn’t become overrun with pests? You have to think about making your garden as unattractive as possible to pests — and a large part of this is making it uninhabitable. Pests won’t be able to make a home under your decked areas if they can’t get in to begin with, so investing in extra materials to create a barrier is worth it. Decked spaces offer shelter and warmth, which is exactly what pests are looking for. To stop them making a home under your decking, use wood, mesh or chicken wire and run it along the entire edge of your decking between the boards and the ground. Remember, rats and mice can squeeze through gaps as small as half an inch in size, so make sure whatever material you use is strong, sturdy and well installed. Concerned that this will harm your decking’s aesthetic appeal? Why not install a wooden trellis and have the mesh running behind it? Then, you can arrange potted plants or flowerbeds around your decking to mask the mesh further. Long grass and bushy hedges are also great spots for pests to make a home, so keep on top of mowing your lawn to stop your garden becoming a haven for unwanted critters. Now that you’re made it much more difficult to build a home, you have to consider the other big attraction for pests: food. Pests, such as rats and mice, will scout out places where they can find a food supply, so don’t leave any leftover food on your garden table furniture and make sure rubbish and refuse bags are tied tightly and placed inside a bin with the lid shut. Do you host parties regularly? Then, make sure you thoroughly clean up. Use water and a cleaning solution to thoroughly wash your decking — just in case there are any sauces or dropped food you didn’t spot during clear-up. Remember; rats, mice and hedgehogs will also eat birdfeed, so ensure that you opt for a birdfeeder that isn’t placed on the floor or a table. If your main pest problem is birds, movement is a great deterrent. Try hanging something that moves — like a wind chime or wind spinner — to help prevent birds from making a mess on your decking. Of course, when we say ‘pests’, we don’t just mean rats and mice. There’s a far smaller but equally annoying pest that can cause major issues for your decked spaces. Do you own composite decking? If not, the wooded sections in your garden may rot and you could fall victim to an infestation of woodworm. Ensuring that the wood in your back garden is kept as dry as possible is essential to preventing woodworm — although, admittedly, not always easy. This might be difficult for large areas like your decking, but your tables and chairs should be relatively safe under a waterproof cover. Sealing your wood with varnish is a good shout too. This creates a barrier that prevents female wood-boring beetles from laying eggs in the pores of the wood. However, you might be reading this and already suspect that your decking is infested with the pest. So, how do you find out for sure and what can you do about it? If you can see small holes across your decking and furnishings — these are usually in a cluster and often about 1mm wide — there might be woodworm present. Although this is treatable, you first need to identify which type of woodworm is doing the damage, so it might be worth seeking professional advice. Common furniture beetle problems can be treated yourself using products that you can buy online. However, if the culprits are house longhorn or deathwatch beetles, you may need to treat by injection. Not everyone will want to trap pests, however, there are alternatives to the well-known lethal trap that you might find useful if your pest invasion is quite bad. For example: non-lethal traps or scent repellents. 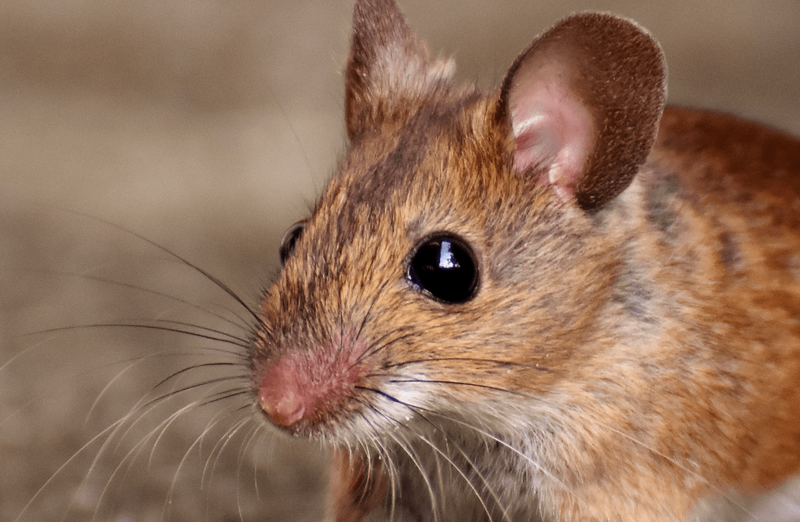 Non-lethal traps offer a humane and simple solution to pest problems. Compact and discreet, these devices are ideal for placing by your decking and emit high-frequency sound waves that rodents can’t stand — and we can’t hear. But forget cheese; sweet treats work best to lure mice. Place these around your decking and make sure to release the rodent at least one mile from your home once caught. If you prefer, buy an ultrasonic pest repellent. Scent-based traps are also a good idea — but which smells should you target if you want to prevent pests from frequenting your garden? Rodents detest the smell of garlic, peppermint and hot spices. Plant a peppermint tree around the edges of your decking or sprinkle cayenne around potential entry points to deter vermin from nesting. Of course, there are also plenty of commercial rat and mice repellents you can buy that will work to keep pests at bay. Keeping your decking and garden pest-free is an achievable challenge. Follow these tips and help keep your garden clean and clear of unwanted critters!